I found this recipe last week on Brown Eyed Baker. I thought that I had everything in my pantry to make them … well, I had to make a slight change because I didn’t have enough peanuts. But the good news is … this is a very versatile recipe. Make changes to fit your needs … the original recipe from Smuckers called for chow mein noodles … but Rice Krispies are in this version. I may use some Cheerios in my next batch! 1. Line two baking sheets with waxed paper or parchment paper, set aside. 2. 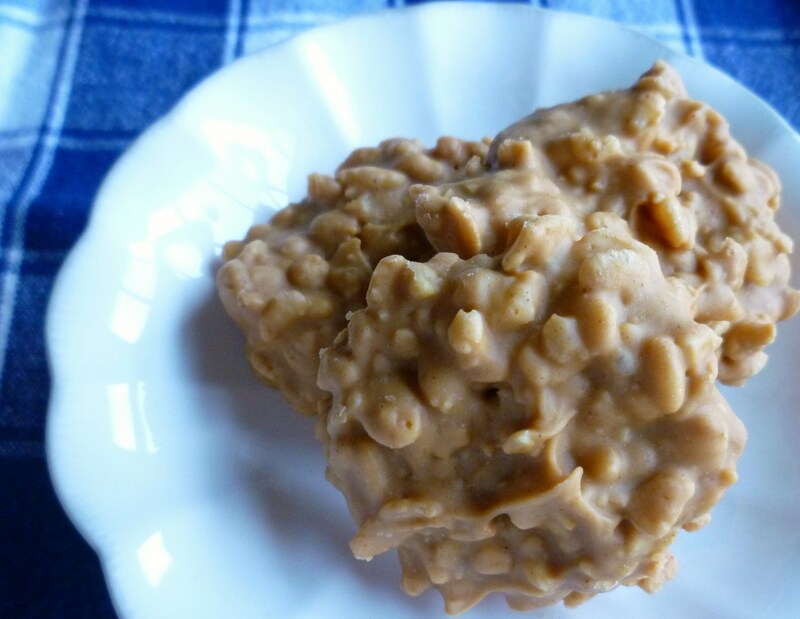 In a medium-large saucepan combine the peanut butter, butterscotch chips and white chocolate chips over low heat, stirring occasionally until completely melted and smooth. 3. Stir in the peanuts and Rice Krispies cereal. Drop mounds onto the lined baking sheets. Chill until set (freezer 5 minutes or refrigerator about 30 minutes). Store in an airtight container at room temperature or in the refrigerator. Remember to enter my Cupcake Bracelet Giveaway. The deadline is Thursday, September 8, midnight!